Bournemouth finally recorded their first home league win of the season as they defeated Darlington 3-1. Substitute Brett Pitman scored late on to secure a 3-1 win over Darlington as Bournemouth finally recorded their first home league win of the season. Marvyn Bartley opened the scoring for the hosts early on before Liam Hatch hauled the sides level. A Neil Austin own-goal and Pitman's late strike then ensured the Cherries broke their home duck in League Two. It was poor defending from the Quakers which gifted Bournemouth two first-half goals. 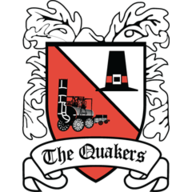 Stephen Foster saw his backpass intercepted by Jeff Goulding after 15 minutes and although Simon Brown saved the first shot, the rebound was rammed home by Bartley. 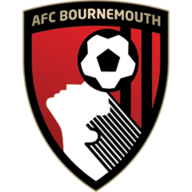 The visitors equalised after 35 minutes with a looping header from Hatch before another defensive blunder allowed Bournemouth to the regain the lead. Igoe seized on a bad pass from Alan White and then crossed only for Austin to turn the ball into his own net. Pitman made the game safe in injury time when he turned in a low pass from fellow substitute Josh McQuoid.